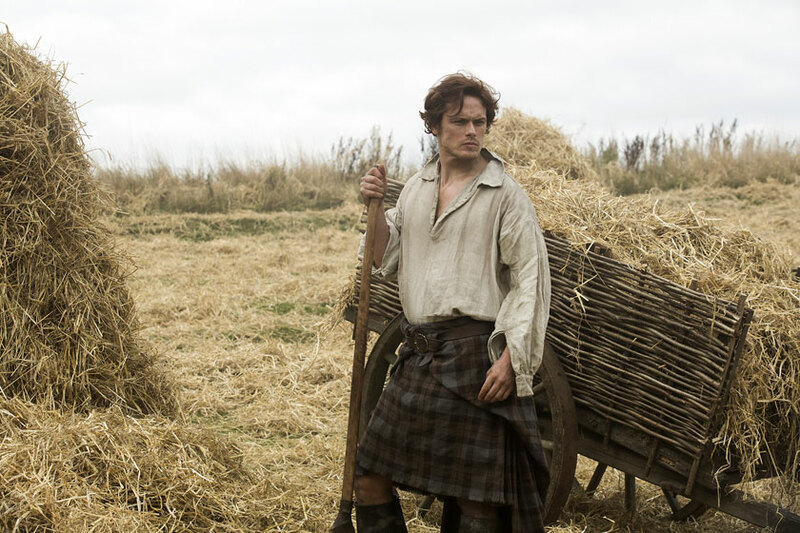 DianaGabaldon.com | First Look – Sam Heughan as Jamie! News media outlets quickly began publishing the image. The Outlander TV series began production on October 7, 2013, and will be shown on the Starz network in the spring of 2014. It is being filmed on location in Scotland. Photographer: Ed Miller. Copyright © 2013 Starz Network. At the 2013 New York Comic Con Starz panel, Diana Gabaldon said that at first she might have had a few doubts about casting Sam Heughan as Jamie, having only seen a few of his photos online via her iPhone while on the road with her husband. by Lesley Goldberg. The Hollywood Reporter (HollywoodReporter.com). Released on October 25, 2013 at 10:01 a.m. (PDT). “‘Outlander:’ First look photo of Sam Heughan as Jamie Fraser,” by Melissa Hayer, News Research Assistant Editor, Television Blog – NewsOK (newsok.com). Published on October 25, 2013. This page last updated on Friday, August 21, 2015 at 11:02 p.m., PDT by Diana’s Webmistress.